There was a sense of relief after final whistle sounded in Archbishop Spalding High’s 41-18 win over Florida’s Bishop Moore. 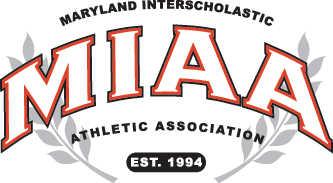 Unable to get in games with Virginia’s Benedictine College Prep (game cancelled due to thunderstorms) and Good Counsel (game stopped in fourth quarter because of lightning and ruled no contest), being able to play a full game was victory in itself for the second-ranked Cavaliers (1-0 overall). “It felt good to play a game where we could play all four quarters, we played hard, battle through a little bit of adversity and you have to give credit to Bishop Moore, they didn’t fly all the up here to lose and they played us tough to the end,” Spalding coach Kyle Schmidt said. The game was a go by Wednesday with Hurricane Florence hitting the Carolinas and parts of Virginia and Georgia. The only affect of the massive storm at Whittles Field in Severn Friday evening was some light rain. The Cavaliers got into rhythm as Venerable capped off a three play drive, bursting up the middle and bouncing off several Hornet defenders with 60-yard touchdown run. Venerable got his second score – a 17-yard run down the right sideline – giving the Cavaliers a 20-3 advantage with two minutes left in the half. Bishop Moore gained some momentum before halftime as Bryce McGill hit a streaking Brazil (eight receptions for 128 yards) for a 65-yard touchdown with 1:15 left in the half. The Cavaliers pulled away in the second half with a Tutas 17-yard scoring throw to Will Sherwood and Venerable’s five-yard touchdown run in the fourth. Senior quarterback Jayden Umbarger, who committed to Navy, added a one-yard plunge in the fourth.